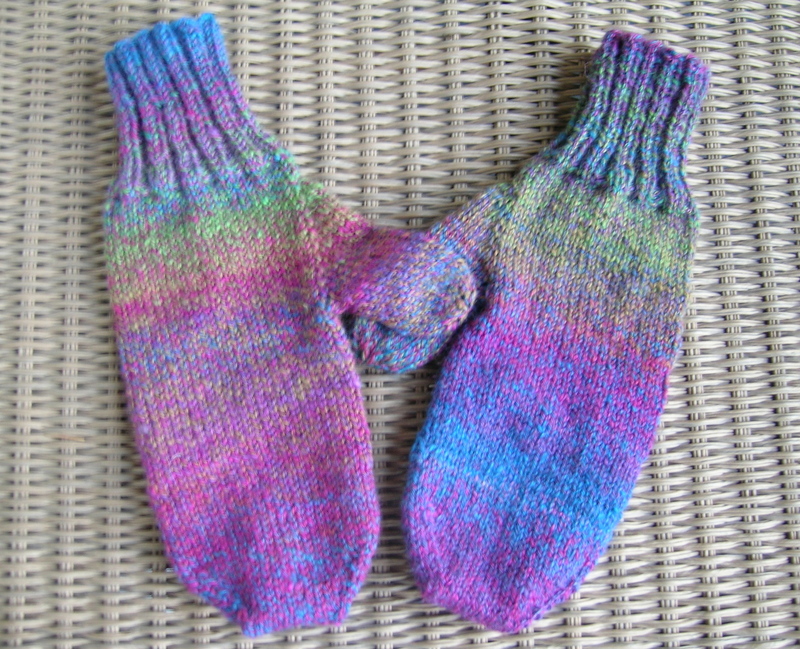 I finished a pair of mittens with my fractally handspun yarn. Post about the spinning here. They were done in the nick of time, as the temperature dropped 20 degrees in one day. A bright cheery addition to my walks with Lloyd. And, they complement my purple hand-spun shawl very well, thank -you. 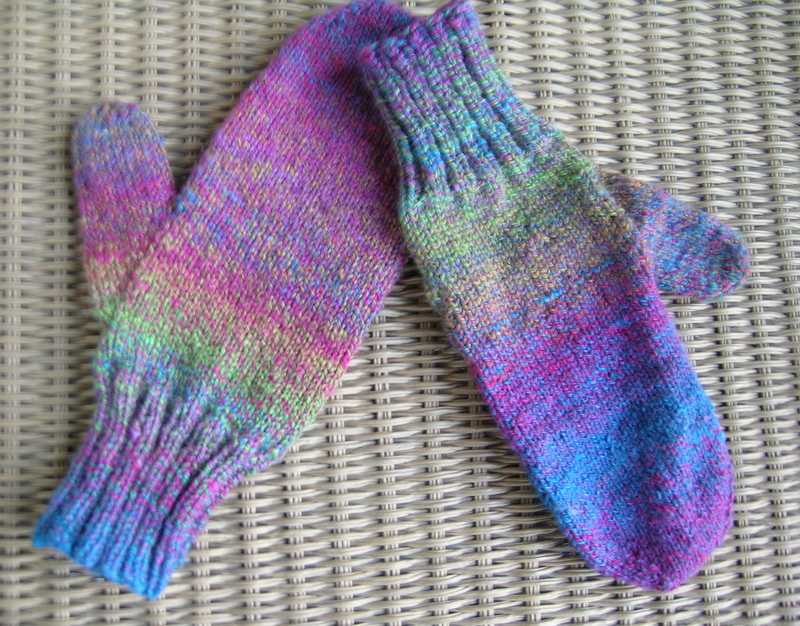 This photo shows the color progression in the yarn, as I started with the cuff of the mitten on the left, and moved to the end, then started the cuff of the mitten on the right. I am not exactly happy with the large blue pooling section on the right (it was longer and I broke the yarn and shortened it), but it will do.